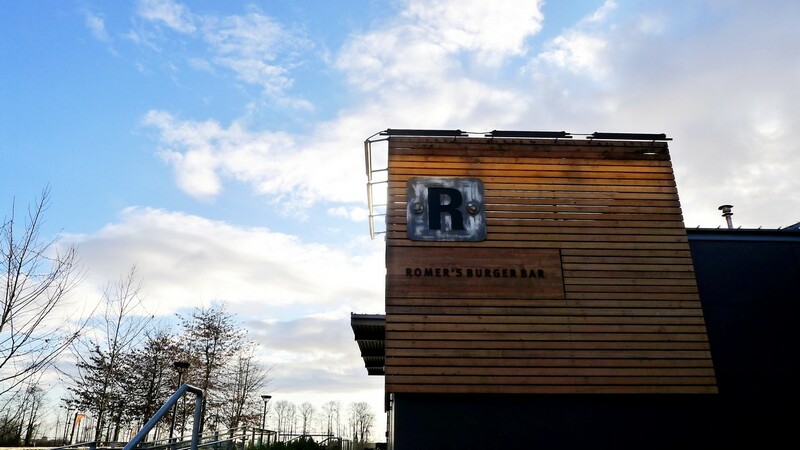 Romer’s Burger Bar Vancouver River District is located down by the Fraser River. 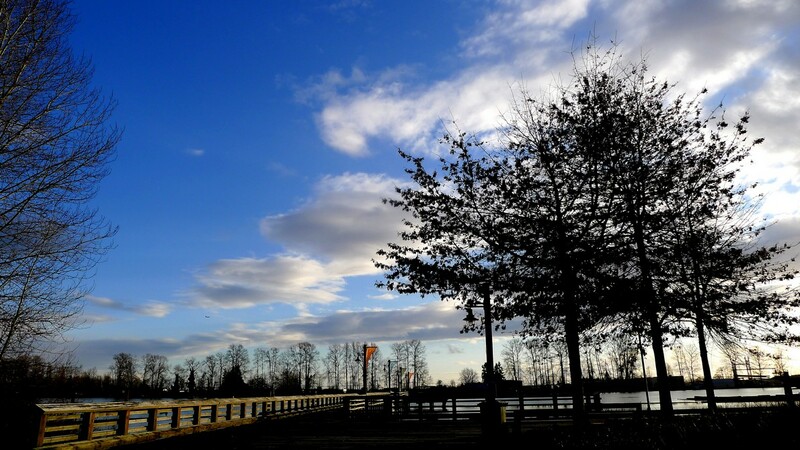 Currently in an undeveloped neighbourhood of Vancouver – between Kerr St and Marine Drive. This soon to be erected community by Polygon Homes in the Killarney / Fraserlands area will soon be known as the River District. Romer’s actually appeared as one of the selling points when we went to check out the show homes. 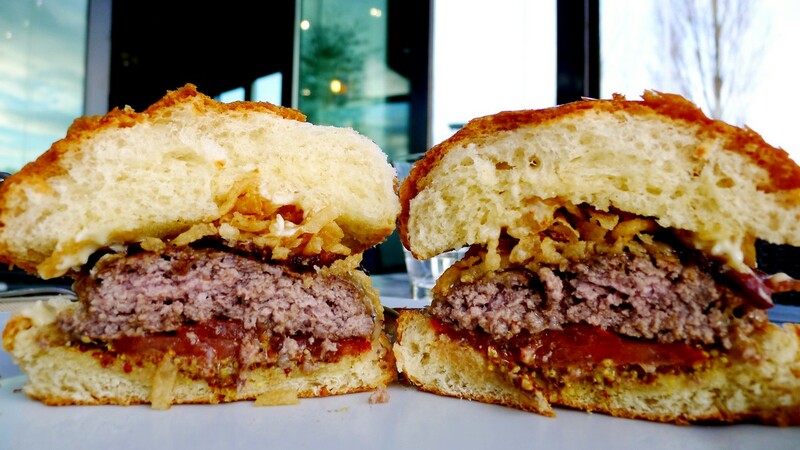 Live at Polygon and enjoy a burger! 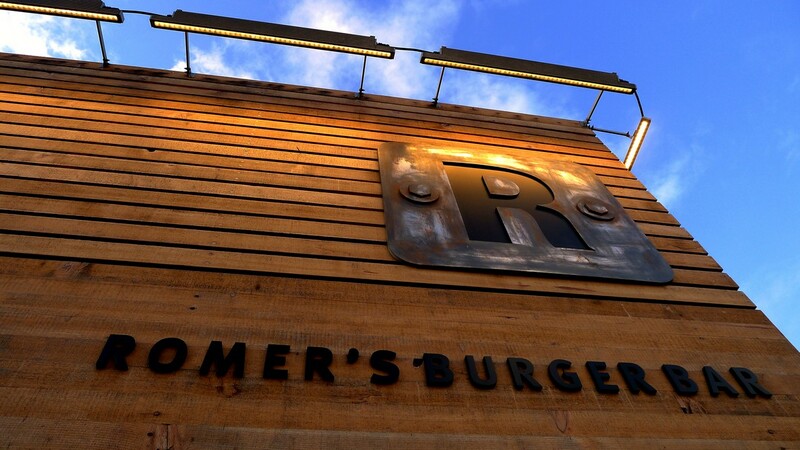 Romer’s is also home to the Kitsilano / West 4th area (where Pinky’s used to be). 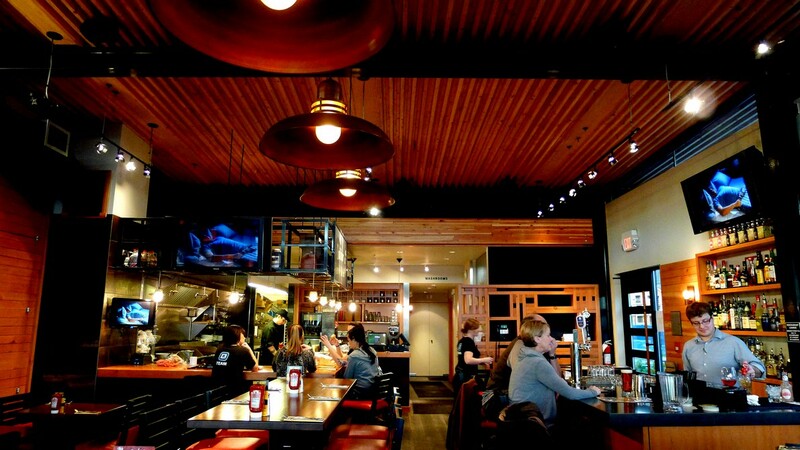 This burger joint is born of the creation by Executive Chef Jim Romer boasting all natural burgers in Vancouver. Imagine a beautiful Saturday morning, the sun is shining and the air is crisp. It’s been a couple of rainy weekends and Dave and I were excited to be out. Arms around each other we stumble upon Romer’s for a late lunch (wait this sounds a lot like Dave’s perfect Saturday morning at Oakwood Canadian Bistro . 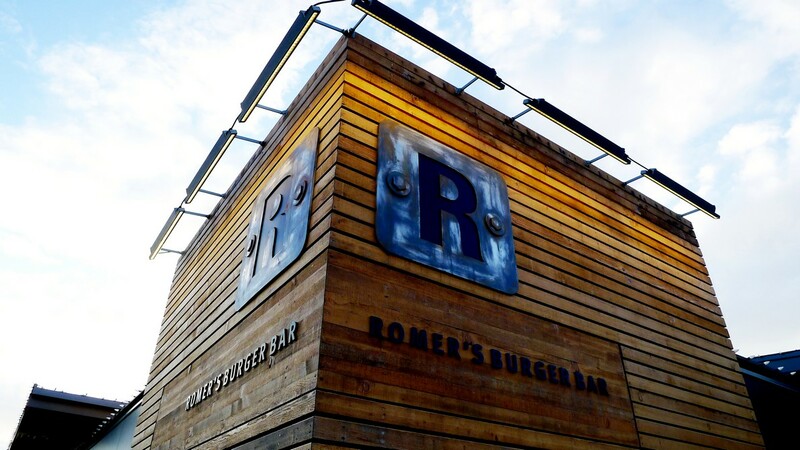 Romer’s exterior and interior boasts a lot of wood furnishings. I love the natural yet sophisticated and laidback aapproach. 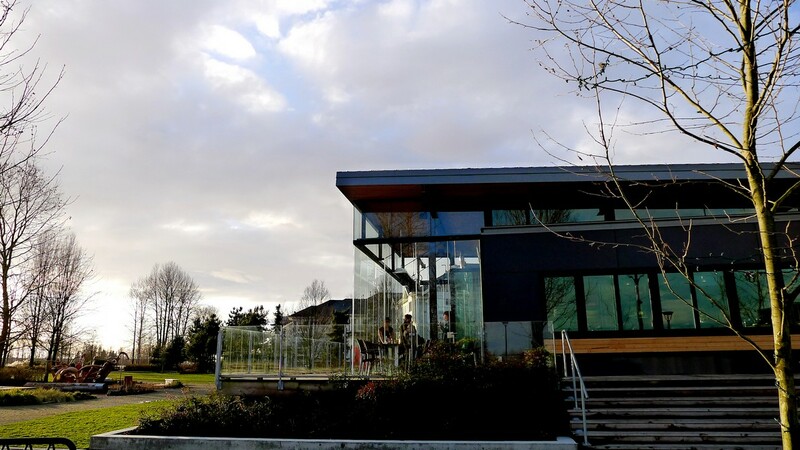 The atrium itself is a beautiful glass window retreat with a spectacular view of the river, pier and pathways where couples, children and dogs interact. 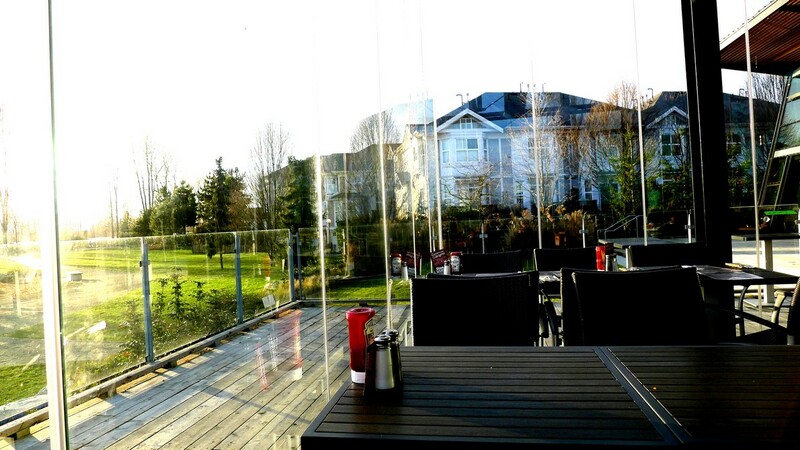 It was such a beautiful day as we sat in the atrium chatting that we almost forget to order food. But of course, our stomaches eventually growled. 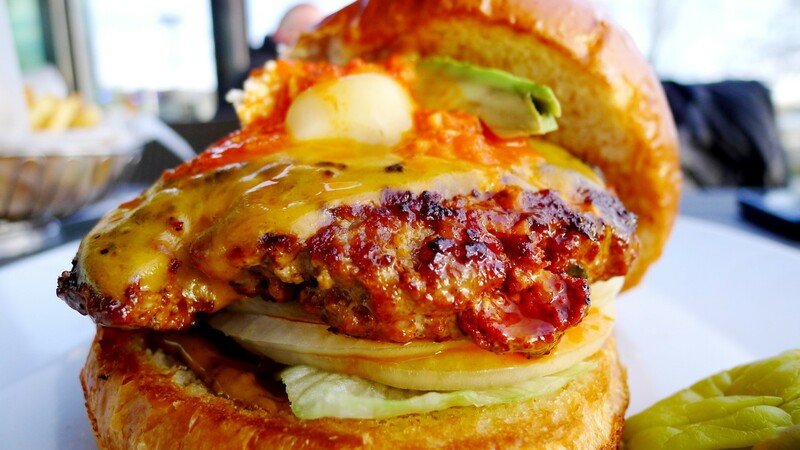 There is a lot of unique choices of burgers. 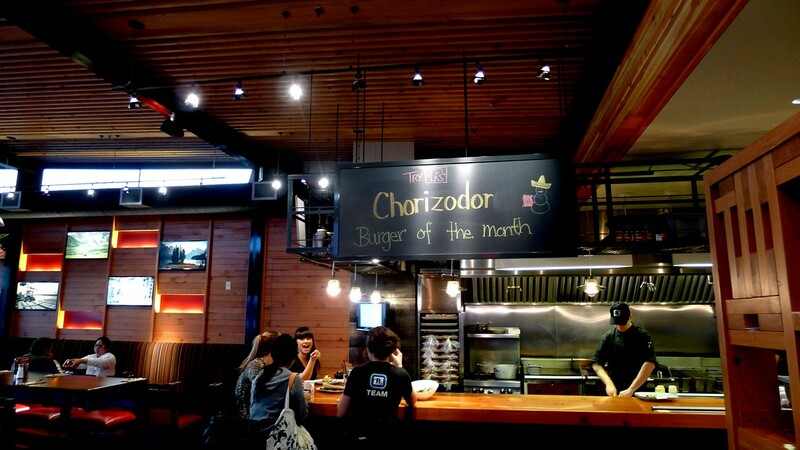 The burger of the month was the Chorizodor Burger (a popular item that is now permanetly on the menu!). All burgers comes with garlic olive and pepperoncini on the side A nice touch sans fries. 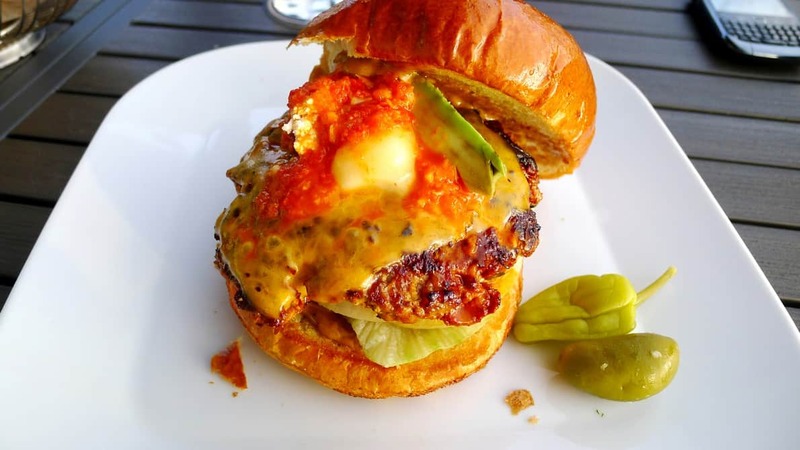 The Chorizodor Burger $13: House-made chorizo spicy patty, topped with cheddar, pepper jack and creamy boursin, fresh avocado slices and Diablo sauce. Juicy! The burger was thick and loaded with avocados. 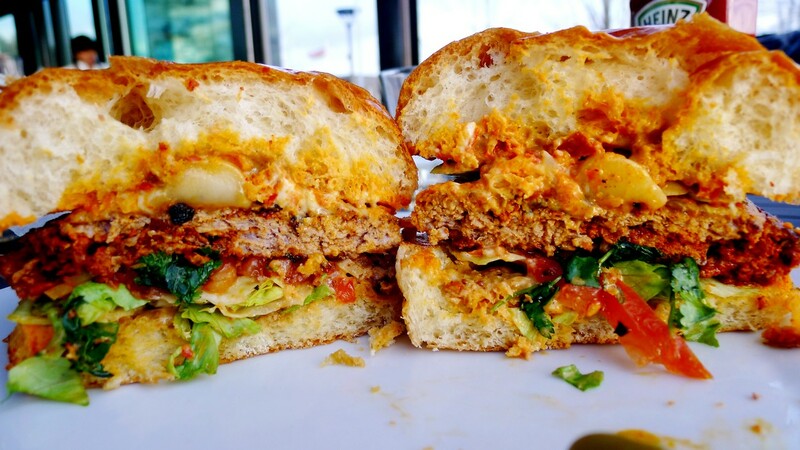 The spicy patty was firey but not so much to overshadow or kill your tastebuds. 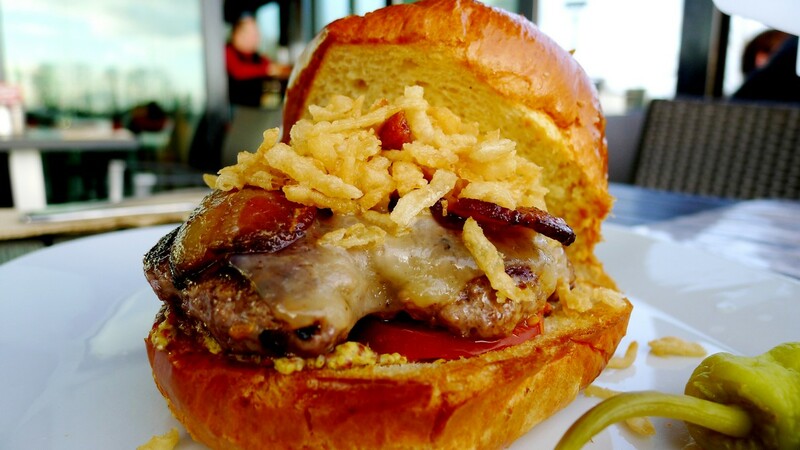 Man’s Man Burger $11: Thick-sliced applewood bacon, local creamery amber ale cheddar, onion strings, smoked alder salts, vine-ripened tomato, whole grain mustard. Yummy onion strings was a great additon of texture. This was a hearty burger and even though I only had half, I was pretty full. Perhaps I am not man-ly enough for this burger but I really enjoyed the whole grain mustard and bacon along this juicy patty. 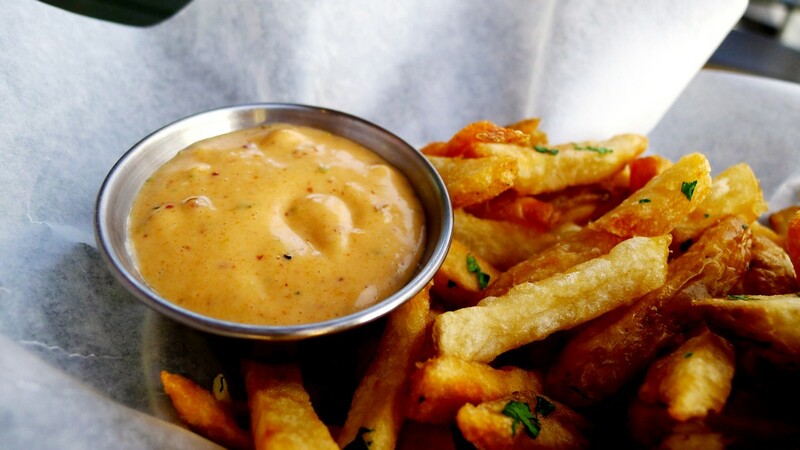 Garlic Fries $5: Fresh cut fries doubled cooked with sea salt and sprinkled with minced garlic. The fries were alright, towards the soggy side and not crispy enough. The cilantro shavings are a nice addition. Also more garlic flakes would make this even better! Dips (garlic dill or chipotle aioli) are addtion 60 cents per and the truffle oil version is only available at the Kits location. We were so full by the end that we needed to pack the fries to go. Somewhat annoyed that the waitress did not pack our barely consummed dip to go as well (something I wished I had checked before leaving). 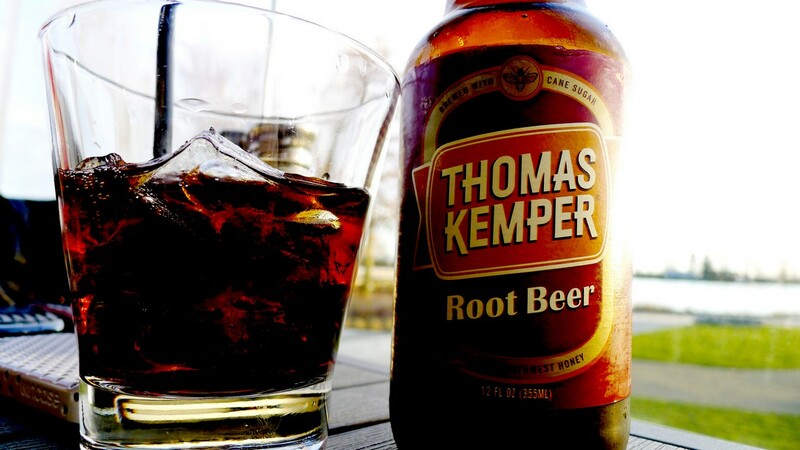 Thomas Kemper Root Beer: Delicious. Fizzy and complemented by sassafras, vanilla and honey flavoring. I heard the Onion Rings $7 are pretty good and are dusted with Reggiano cheese. We shall have to try this again sometime.